Sunrise at Shitiping Camp Ground, near Hualian, Taiwan. 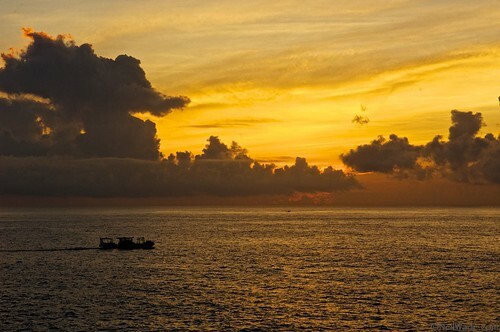 The fishing boats head out as the sun rises at Shitiping. 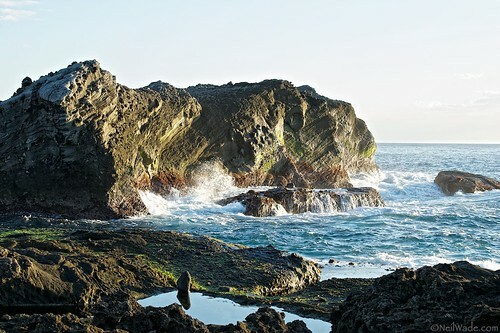 The stone outcrops at Shitiping look especially beautiful in the early morning sunlight. The raised coral is great fun to walk around on and explore. On bit of advice I'd give you at Shitiping, hang your tent's rain fly on the east side of your hut to block the rising sun (and heat) for a little while. One of the camping areas at Shitiping. Connected by a walkway to the campground, is the small fishing port of Shitiping. Here can be found a small market with very fresh seafood and a few basic restaurants with whatever the fishermen brought in that day, cooked to perfection. 13km north is the closest supermarket, 7-11 and gas station, in the town of Fongbin 豐濱. The campground itself doesn’t have any food or beverage supplies, so it’s best to stock up in Fongbin. The supermarket has everything you could need including bar-b-que supplies, sunscreen, toiletries, etc. Just south on Highway 11 are two interesting caves. The first is the Yuetong Bat Cave 月洞, a small cave on the mountain side that you can pay $100NT to ride a boat through and see the bats. I’ve never actually taken the ride, but it looks cool! The other is the very famous Baxian Buddhist Caves 八仙洞. 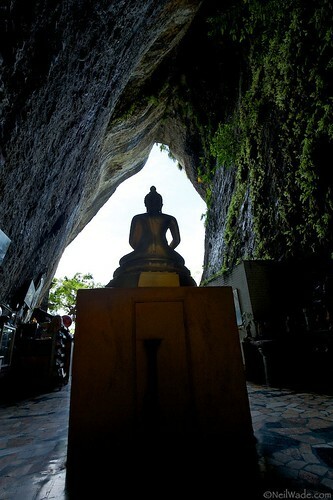 There, you’ll find several caves set amongst the mountain side, all with places of worship for the Buddha, Guanyin, and various other Buddhist figures. The main cave is also the easiest to reach, not a far walk from the visitors center. It’s a large cavern that said to resemble the shape of southern Taiwan from the inside, and has some Thai style golden Buddha statues. 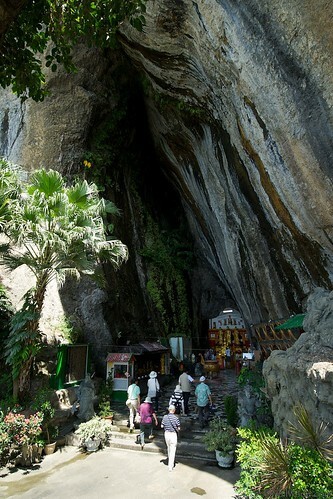 In the back, there is a statue of Guanyin pouring real cave water for visitors to drink. 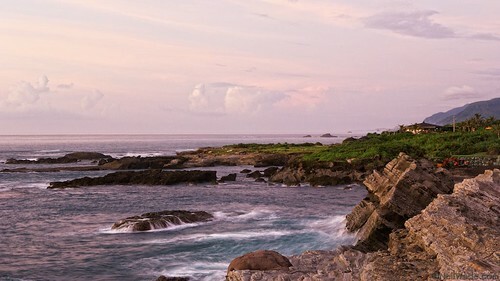 (I had mouthful and didn’t get sick, but drink at your own discretion) Further up the mountain are several more caves, and beautiful views of the coast, but I would honestly advise you to skip them on a hot day. 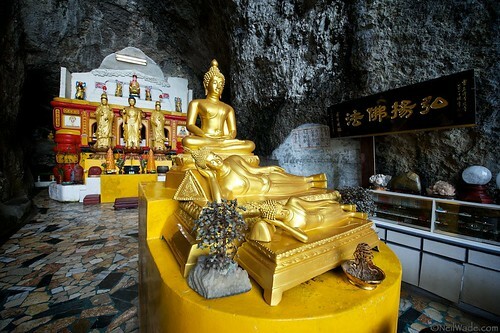 The Baxian Buddhist Caves feature statues of several holy Buddhist figures, including these Thai style golden Buddhas. The main Baxian Cave's roof is said to resemble the southern part of Taiwan, but upside-down. 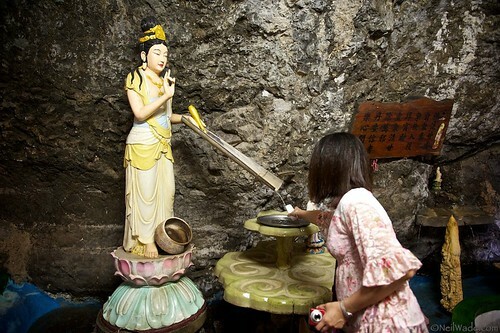 This statue of Guanyin pours blessed cave water for visitors. 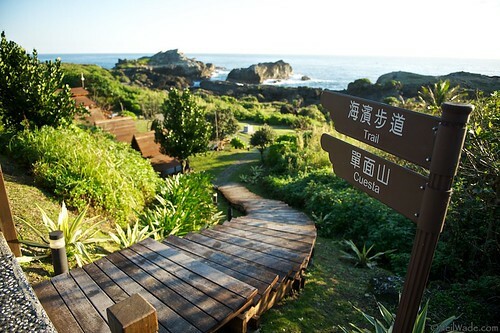 The Baxian Buddhist Caves have awesome views of the coast if you can stand the heat and walk up the steps! The caves also have a prehistoric history. Archeologists have found the remains of a culture 30,000 years old! Some of the artifacts, and other information about the area can be found in the small visitors center near the road. 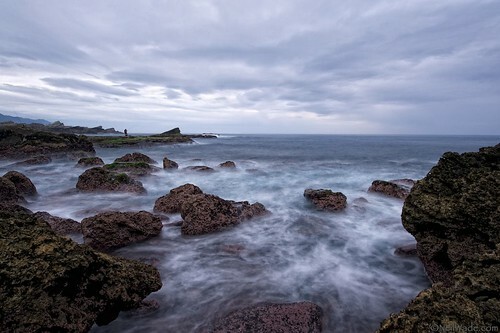 Another option in the area is to drive into the Rift Valley on 花64, a beautiful road that cuts through the mountains from Gangkou Village 港口村 to the hot spring town of Ruishui 瑞穗. 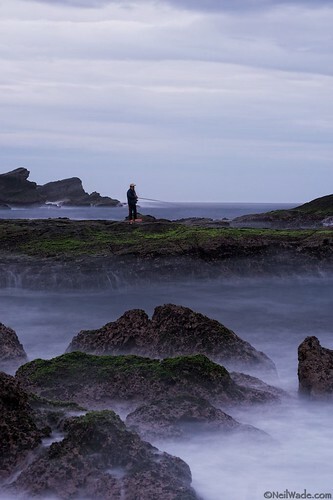 There can be found Sixty Stone Mountain, Ruishui River Rafting, and many other diversions, but the drive is an attraction in itself. 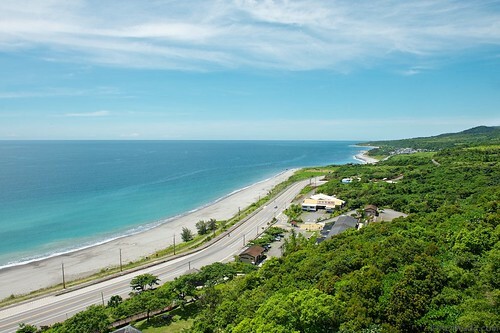 Shitiping is about 70km south of Hualien on Highway 11. It takes about 6 hours to drive from Taipei. There are buses that run the east coast, but I’ve never used them. Try searching for buses 8119, 9101, 1127, 1140, from Hualian or this bus company. There are lots of more creative ways to get there, like taking a train to Hualian or Taidong and renting a scooter or a bike, email me if this really interests you. The campground doesn’t have any food, and only one vending machine for drinks. Stock up at the 7-11 and supermarket back in Fongbin (the supermarket is next to the gas station, on the road that goes inland towards Guangfu, not on Highway 11). 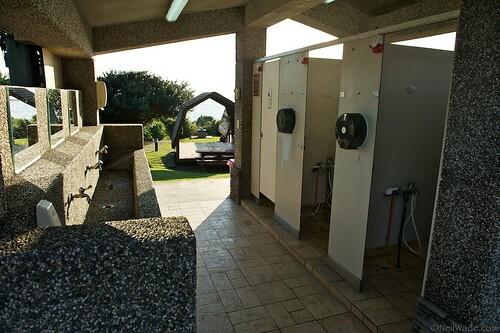 The wooden huts have electric lights and outlets and there are nice bathrooms with hot water. 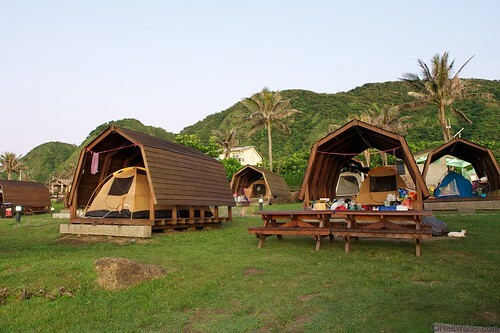 Huts cost ~$300NT plus $100 per person. There are no tent rentals. Be sure to go into the Visitors Center when you pay for your campsite to get maps, flyers and other information on the entire east coast. If you’re not into camping, there are a few B&Bs adjacent to the campground that look wonderful. There are also quite a few cheaper ones to the south on Highway 11. Neil your pictures are really beautiful! Love it! What a beautiful world! The pictures are really cool! I love the view. You did great images. They are beautiful. I feel like I want to visit that place too. These are beautiful pictures, thank you for sharing these photos. 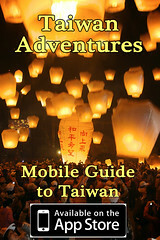 I realy don’t know a lot of things about Taiwan, I hope you can post something in the future that covers the cultures and famous Taiwanese food. Gorgeous pics, thanks for posting!